Bible commentaries are valuable tools to assist both the casual Bible reader and the serious student of the Bible. Good Biblical commentaries are written by some of the brightest theologians in the church. They provide a systematic series of explanations and interpretations of Scripture. Keep in mind that commentaries are intended to provide additional insight into the Bible, never to replace it. I recommend the IVP Bible Background Commentary for the Old and New Testaments. The IVP Old Testament Commentary also provides historical, social and cultural background for each Old Testament passage. If you want to enrich your understanding of the Bible order both the IVP Old and New Testament Commentaries. I’m sure you will enjoy them. Both provide not only historic information, but also what was happening in the society, in culture and in the everyday life of the people. I have been using both for several years now and I highly recommend them. Although I recently discovered that the entire Commentary for the IVP New Testament is available online free, I still prefer to have the hard copy. There are also plenty of Free Classic Bible Commentaries Online. In fact, most of the time, since they are in the public domain, (in other words, they were written a very long time ago) they are included free in most Bible software packages. Just keep in mind that using old (19th-century or earlier) resources for Bible study may present valid insights for interpretation, but they should be used with caution, because of their age, and with awareness and acknowledgment of the original date of publication (rather than the date of the reprint or electronic version). 1. When studying the Bible, don’t begin by reading your commentary. Start with prayer. Like Ezra, “prepare your heart to seek the law of the Lord” (Ezra 7:10). Pray for guidance, wisdom, understanding and application. 2. Open your Bible. Select a passage of scripture and read it completely. Read a few chapters before and after it to get a better idea of what is going on at that moment. This will help you not to take a scripture out of context. Ask yourself, “What does this say?”. 3. Read the same passage of scripture in different versions of the Bible. For Bible study I recommend reading a passage of scripture in at least three different versions of the Bible. Bible Gateway provides several versions of the Bible online free. Many times reading a passage of scripture in a different version of the Bible helps to understand it better. For a brief description of the main Bible translations click here. 4. Think, meditate and take plenty of notes. 5. Consider the background information, history, culture, customs, and people. Ask yourself, “what does this mean?”. Here’s where the IVP New and Old Testament Commentary is extremely helpful. If you still have questions (and you probably will) keep studying, ask your Pastor or Bible study leader for help and continue to pursue the truth. 6. Finally, ask yourself, “What does this mean to me?”. How can you practically apply what you are reading into your life. If you are new to Bible study get a good Bible. I recommend the Zondervan NIV Study Bible and the Life Application Study Bible NIV. There is also a new recently published Bible called the English Standard Version Bible, (ESV). I do not have one yet, but it does appear to be a good one. You can preview it online here. If you prefer to listen to the Bible on your cell phone or computer click here. You may also want to start with a scheduled Bible reading plan. In other words, when you want to study the Bible it is not recommended to jump around from text to text. Read entire books or sections at a time. Put a plan together that will help you to read the Bible systematically. You can get a good reading plan from BiblePlan.org free. They have reading plans that will help you read the Bible in a year, read Proverbs in a month, read just the words of Jesus, read just the Psalms or Gospels or read a plan that combines the New Testament and Old Testament. There’s a humorous story about a man who was depressed. He opened the Bible randomly to see what God would say to him. He came across the verse that says “And Judas hung himself…”. Horrified, he turned to another random page and again read another scripture, it said, “Go and do likewise”. Dejected, he opened the Bible again one final time and came to the verse, “What you must do, do quickly”. You do not want to practice Bible study reading scriptures at random. If you do, you may end up thinking like the man in the story above that God wanted him to kill himself. The truth is the scriptures he was reading was a part of a bigger picture that have a much deeper meaning. In fact the scriptures speak of a very positive, life-affirming message. Before coming to a conclusion to what the meaning of a scripture is, remember to read the entire story, and consider the background information. BiblePlan.org provides several excellent choices. After you pick a plan, they will email you the reading plan free 5 days a week. That’s way cool. Don’t you just love the creative use of technology? Help keep TheoloTech.com alive. Donate Here. Every little bit helps. Thanks in advance. If you can’t donate today, share this site with a friend! Your business card can be an effective tool for your ministry. It’s compact, energy-efficient, low-cost, low-tech, and keeps working for you hours, weeks and even years after it leaves your hands! I use business cards for my Life Cell Group (My Bible Study). After speaking with someone and I invite him or her to my weekly gathering, I give them a business card. The business card (or ministry card) includes my church name, my name, address, phone, day and time of meeting, web site, and has a cool full color background. Instead of carrying flyers I carry business cards. They are small enough to carry with me every where I go and they work. Did I mention I get them for free yet? Want to know how to effectively use your business card? click on this. Need business cards for your ministry? Now’s the time to get some. Check out the deal above from VistaPrint.com. 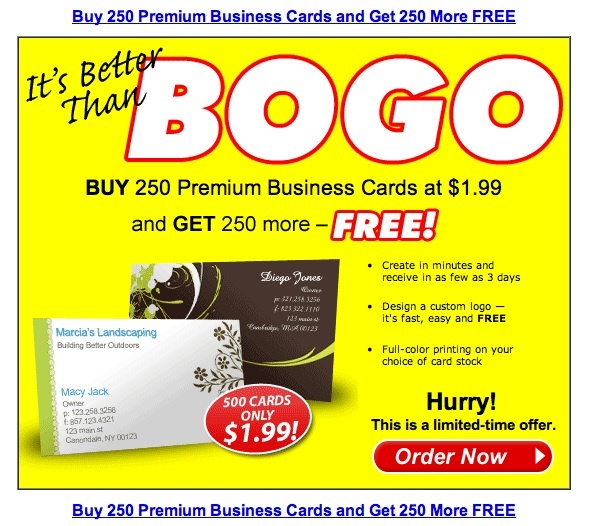 Buy 250 business cards for only $1.99 and get another 250 free. You just can’t beat their prices. I’ve ordered business cards from VistaPrint and 1to1Postcards and am a satisfied customer of both. 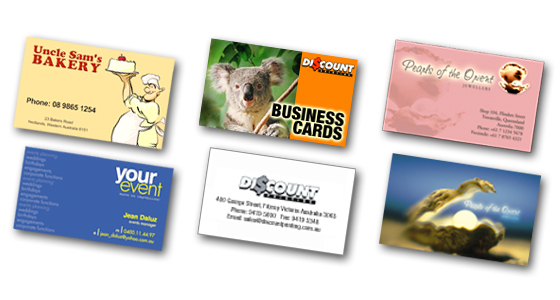 Below are several other places where you can get an excellent deal on full color business cards. 1to1Postcards.com provides 500 free full color business cards. All you pay is for shipping. Is your business card boring? Get a Moo card. Starting at only $21.99 you get some of the coolest & exciting business cards around. Ozoprint also has a good sale. 1000 full color business cards for only $9.99. Business cards speak volumes about who you are, what you offer and how serious you are about, YOU. Order yours today. Organize your Ministry – Free! You’ve probably heard this quote before, “if you don’t plan, you are planning to fail”. Are you planning to fail? Do you got your stuff together? Need a little help? Here’s an excellent program to help you organize your ministry (or any part of your life). It’s an easy to use “to-do” list program that can also handle several projects at the same time. Check out ToodleDo.com. It’s awesome! It’s a web based program that you can also access from any internet capable mobile phone. The best part is that it works as a stand-alone application for the iPhone. To me it’s more than a simple to-do list program. It’s a project management tool. Toodledo.com allows you to organize your tasks into different folders or projects. For example, you could have a folder for work related tasks, one for ministry projects and another for home and another for your hobby. If you use Google Calendar, Google Personal Homepage, Firefox, or IMified, Toodledo.com easily integrates with them. How would you like to be reminded that a task is due soon? You guessed it, ToodleDo.com can do that too. You can specify up to 5 different email addresses for your reminders. You can receive reminders that a task is due by email or on any SMS device (in others words you can receive text message reminders). If you have a task that you do not complete on a certain day Toodledo.com will automatically roll it over to the next day (and the next day, and the next) until you complete it (very nice!). What I really like (besides that it’s free) is that it works on the iPhone. I’ve been testing the iPhone for a few weeks now. My biggest concern has been the ability to transfer over all of my notes from my Palm Treo to an iPhone. If you are using another task manager program ToodleDo can most likely import that data as well (including Palm OS PDA, Microsoft Outlook, Apple’s iCal, Excel, and data from RememberTheMilk.com). I wrote about “Remember the Milk” earlier this year here. I now prefer to use ToodleDo.com. If your existing task manager can produce an iCal, XML, CSV or text file, then ToodleDo can import it. If you don’t have a web enabled phone you still can use ToodleDo.com. Just go to ToodleDo.com and log in. ToodleDo.com will also let you print your to-do list in a booklet form (on plain paper) to carry with you (which is nice when you want to make a to-do list for someone else). You can easily access your to-do list from almost any internet capable mobile phone. All you need is a cell phone with a built in WAP or HTML web browser. Since ToodleDo.com can be downloaded to your iPhone it acts as a standalone application (which means you can access all of your data even when you don’t have a good internet connection or you’re in a dead zone). ToodleDo.com also synchronizes all of your data on your iPhone with it’s web version so you always have access to your data. If you forget your phone one day, just go to a computer with internet access, login to your free ToodleDo account and access all of your info. You can’t loose with ToodleDo.com. It takes less than one minute to sign up, it’s free and it works! If you haven’t already, you may also want to try Evernote.com. It also makes a good task management system (if you get creative and make it work for you). With Evernote.com you can create, snap, clip, drag & drop, email, scan, and record anything (text, photos, and even entire web pages) so that it becomes accessible and searchable to you at any time, from anywhere. I use ToodleDo.com for my things to do and Evernote.com for my things to save. If you want to be fruitful in your ministry, family, career, school, relationships, anything at all, you are the person who ultimately makes it happen (with God’s help of course). I don’t remember who the author of this next quote is but there’s definitely some truth in it, it says, “If it is to be, it’s up to me”. In other words, start prioritizing your things to do and make it happen. If you need help getting things done, read Hab 2:2. It says, “Write down the vision and make it plain upon tables, that he may run that reads it”. What are your goals? Start by thinking, planning, writing down your goals and meditating on them so that whatever you do will prosper Psalm 1:1-3. Hopefully that’s not the case in your home but if it is, it’s never too late to begin reading and listening to God’s Word. Why? Because it’s like fresh bread for your soul. John 6:35 says, “Jesus said unto them, I am the bread of life: he that comes to me shall never hunger; and he that believes on me shall never thirst”. If you’re feeling a little empty, try feasting on His Word. 2. Read Joshua 1:8 “Don’t stop reading this book of the Law, but day and night think of what it says, so you can be careful to do everything written in it; then you will prosper and succeed”. 3. Read Acts 20:32 “And now I entrust you to God and his care and to his wonderful words that are able to build your faith and give you all the inheritance of those who are set apart for himself. Thanks to modern technology you can now download the entire Bible to your favorite mp3 player, (ipod, iphone, palm, blackberry, pocket pc, etc.) and enjoy it wherever you go, absolutely free. In the past, I wrote about two other audio Bibles. One was for pocket PC’s which lets you stream the Bible to your phone. The other was a super cool audio cd called, The Bible Experience. I’m happy to let you know that I finally found an audio Bible program for my phone that I like. It is in mp3 format (which means all music players can play them; pda’s, iphone’s, etc.). The sound is also acceptable. (There were several other free audio Bibles I’ve tried but what I didn’t like was the computerized voice which read the scriptures). But most of all, I like this one because it’s free! Here it is, my favorite free audio Bible program in mp3 format: AudioTreasure.com. Just click on the Bible version you prefer. I listen to the World English Bible. They carry several different languages as well as other resources too. You can download the entire Bible or just certain books of the Bible. What I do is Instead of downloading the entire Bible to my phone I download individual Bible books one at a time to my phone (I use a Palm Treo 755p). When I’m ready for another book, I just download it to my phone. You probably already know this but I’ll tell you anyway, you can also listen these Bible mp3 files from your computer. You just can’t loose with these mp3 files. If you’re a die hard King James Bible enthusiast, check out Audio Bible. Click on the “English King James New Testament” link. You can also download it to your computer in mp3 format, free! This is the best King James version I’ve found. What I like is that the audio is from a real person (who’s voice is exceptional in my opinion) not a computer generated voice. Here are three other places that provide free audio Bibles, Free Audio Bible, Bible Gateway and MP3BiblePlayer.org. Listen to the Bible in Spanish! Visite AudioBiblia.org donde usted puede descargar las Escrituras en audio formato mp3. Los ficheros de audio en este sitio se narran de la Biblia Reina Valera Edicion 2000. If you would rather listen to the Bible through your computer instead of your mp3 player check out: http://www.faithcomesbyhearing.com/ They provide an very nice interface, that’s free also. Another place to listen to the Bible online is: http://www.audio-bible.com/bible/bible.html. You will have to download the latest version of RealPlayer on the computer if it doesn’t already have it installed. If you have lots of time and you’re in the mood to try out a whole bunch of other audio Bibles click here. Want to read the Bible on your phone instead of listening to it? Check out the follow previous posts here, here and here. iPhone users can access the Bible directly from the web. Just type the following web address on the phone browser: enetbible.com. This is also a good solution for those who want to read the Bible in large letters. Want a free Bible Study programs for your PC and Mac click here. On the table side by side lays The Holy Bible and the TV Guide. One is well worn and cherished with pride, No not the Bible, it’s the T V Guide. Word of God is seldom read, Maybe a verse or two just before bed. Exhausted and sleepy, tired as can be, Not from reading the Bible, but from watching TV. So back to the table, side by side, lays The Holy Bible and the TV Guide. No time for prayer, no time for the Word. The plan of salvation is seldom heard. Forgiveness of sin so full and free is found the Bible and NOT on TV. I know you have places to go, people to see, things to do, and souls to save. But what about God’s Word? Don’t try and look for time to get into God’s Word, most of the times you’re not going to find it. You must make the time. I like what D. L. Moody wrote on the inside of his Bible, “This book will keep me from sin, and sin will keep me from this Book.” I agree. Even if you’re already a believer you still need His Word in your soul. You probably need it even more than those who do not believe, don’t you think? Church, Ministry, Evangelism, Bible Study, Theology, Technology and More!